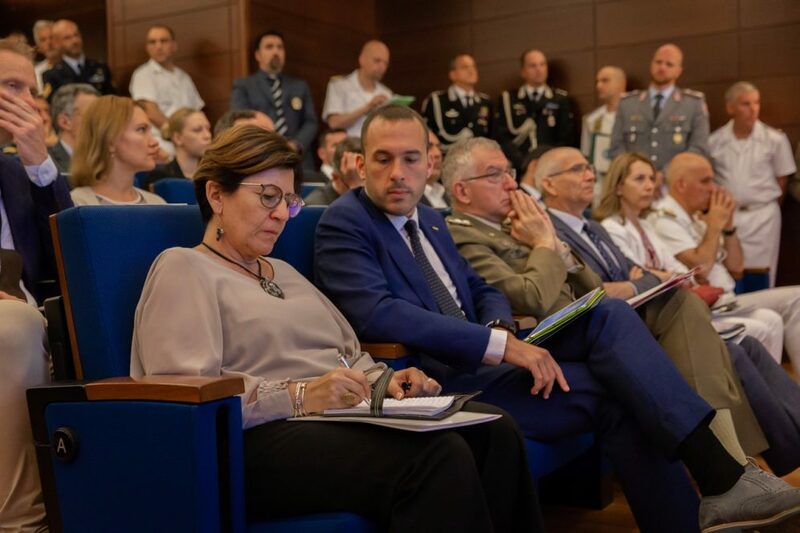 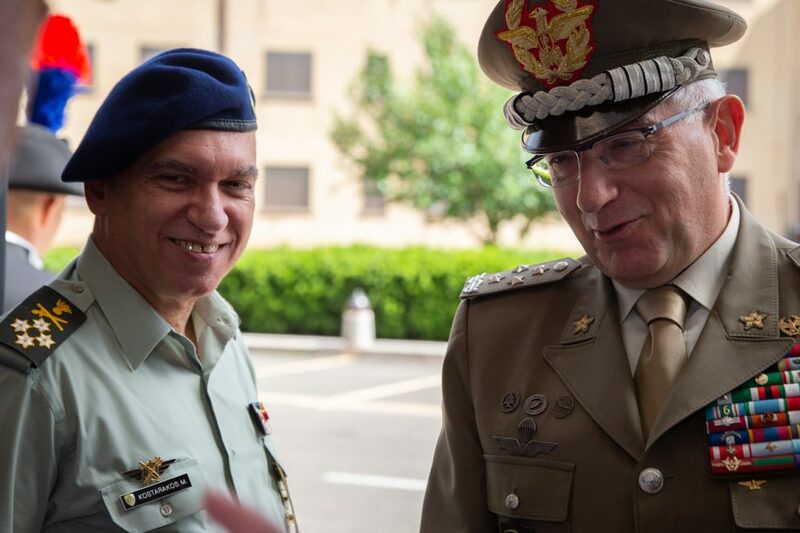 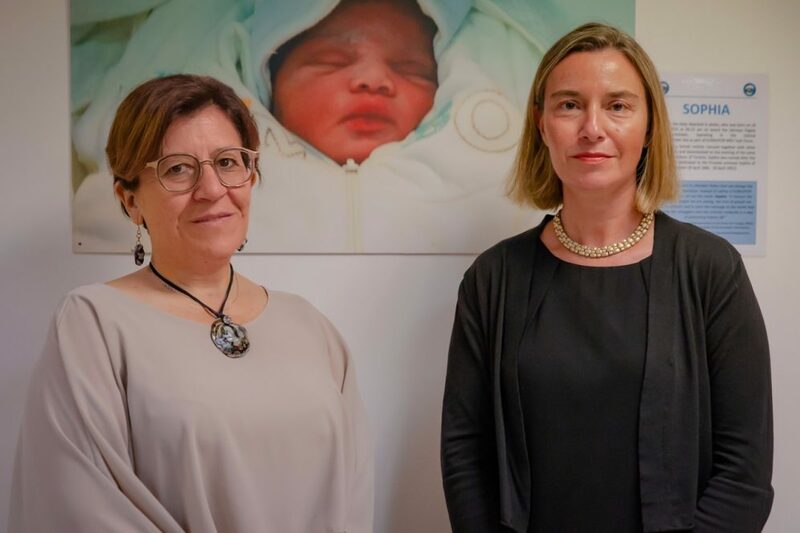 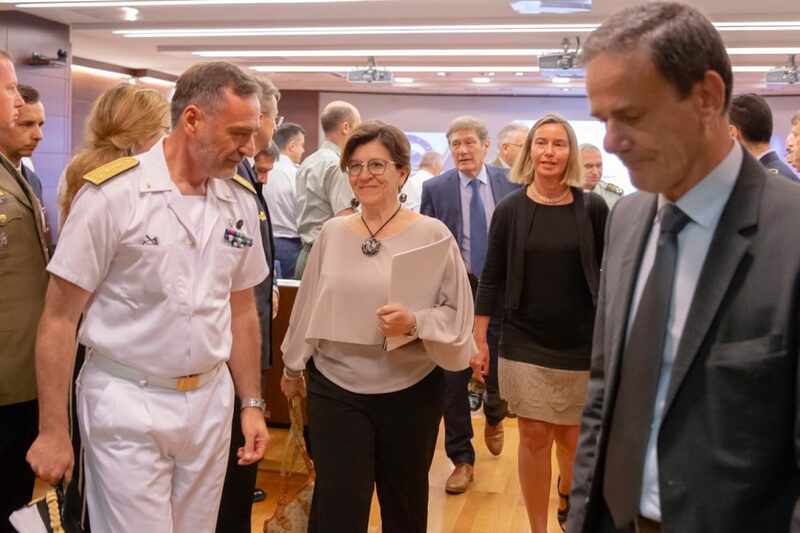 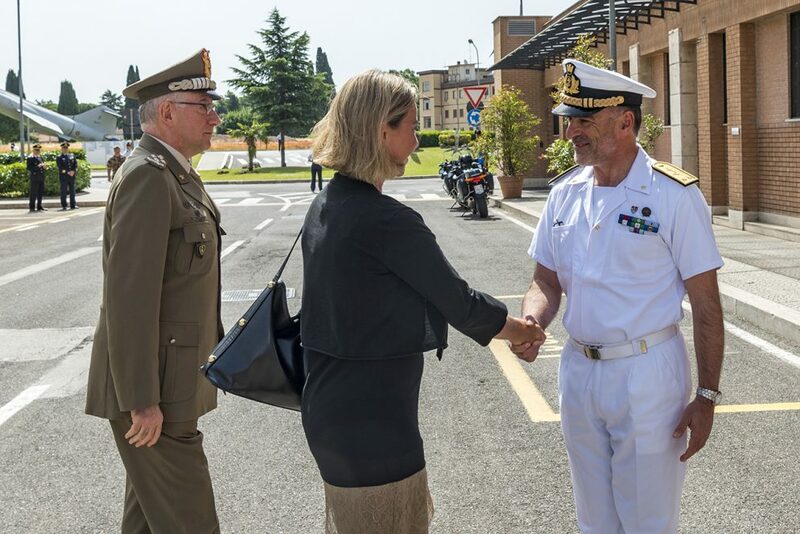 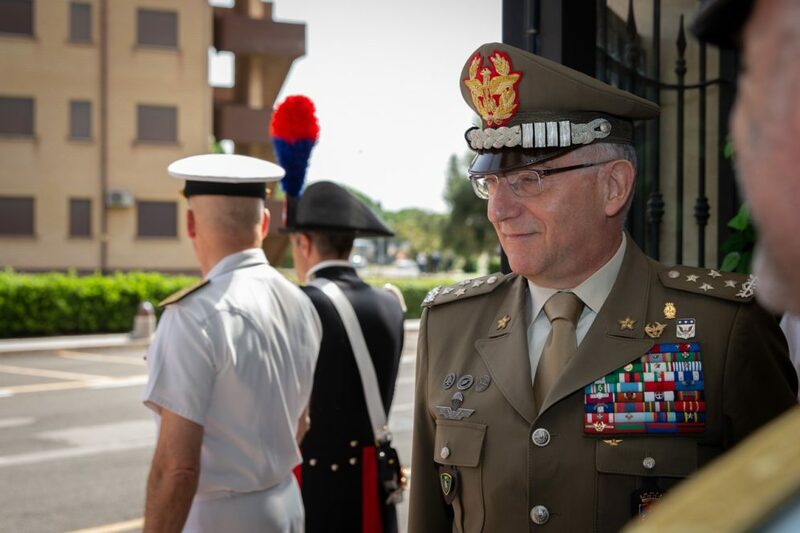 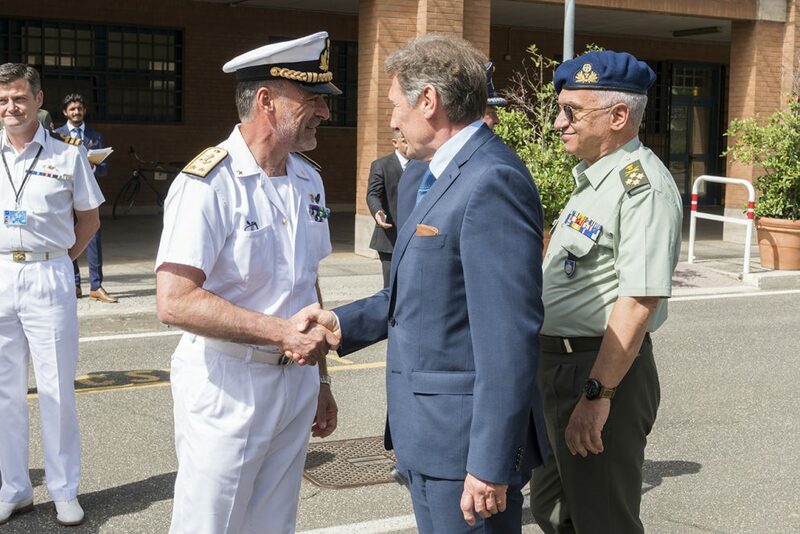 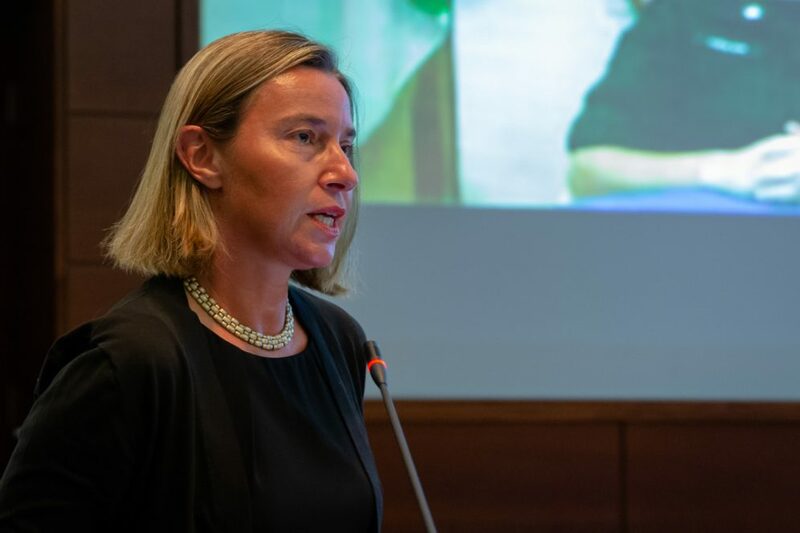 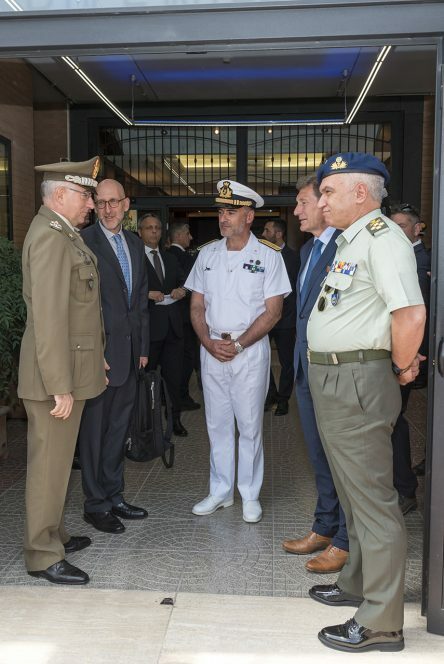 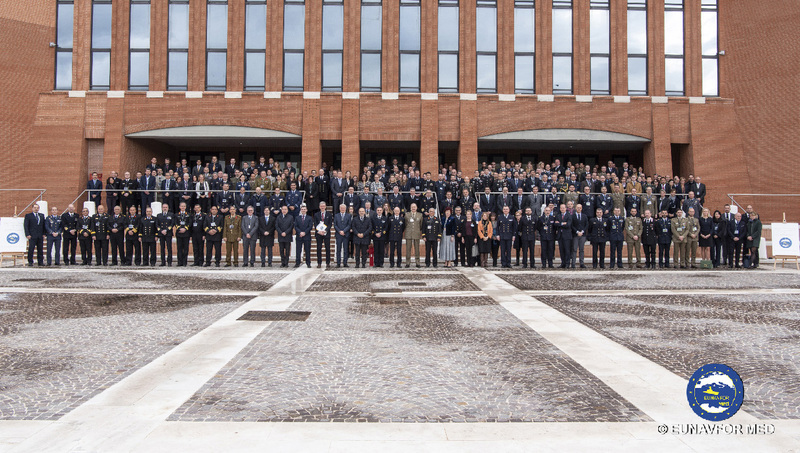 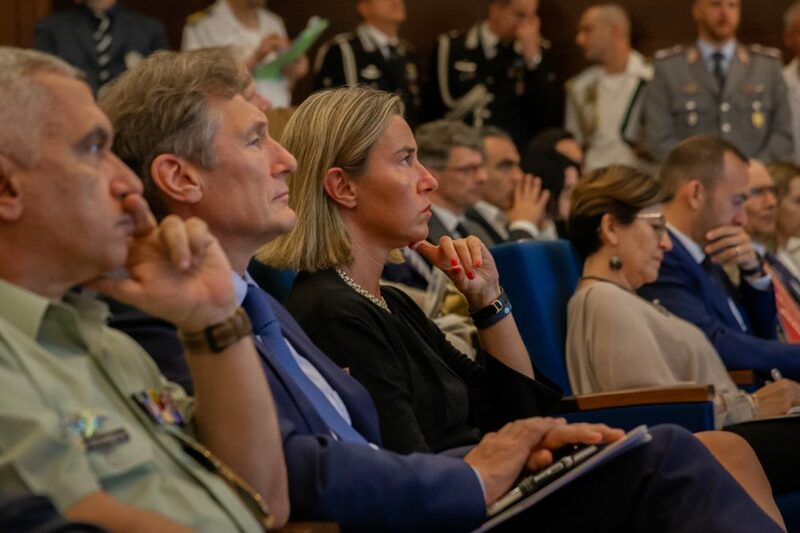 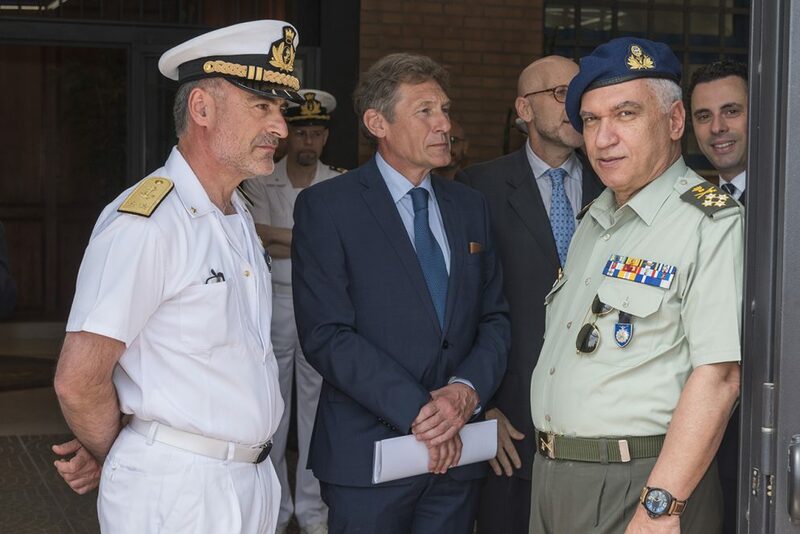 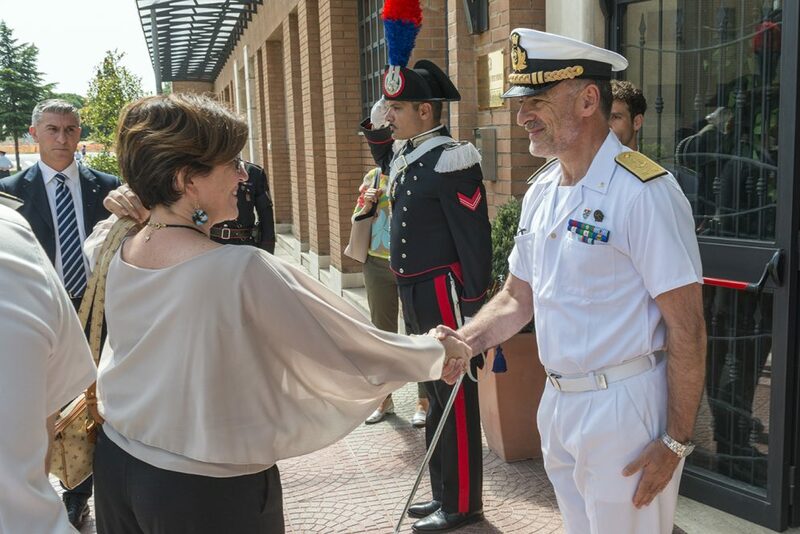 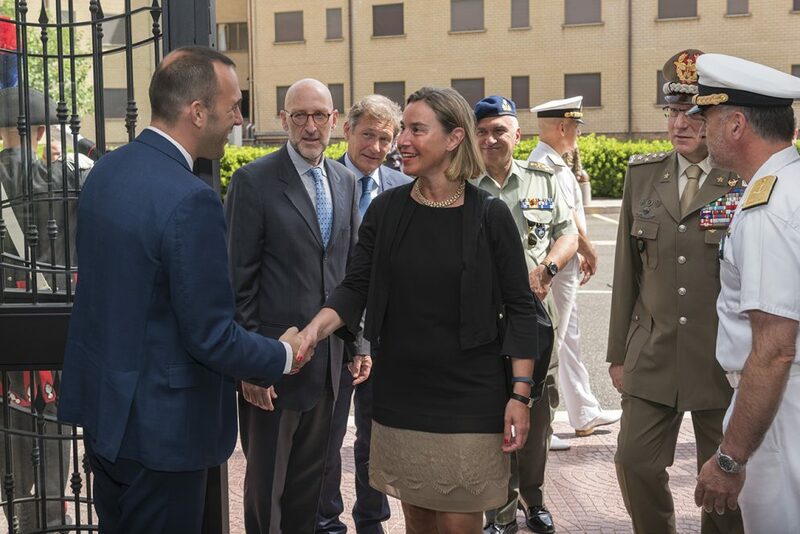 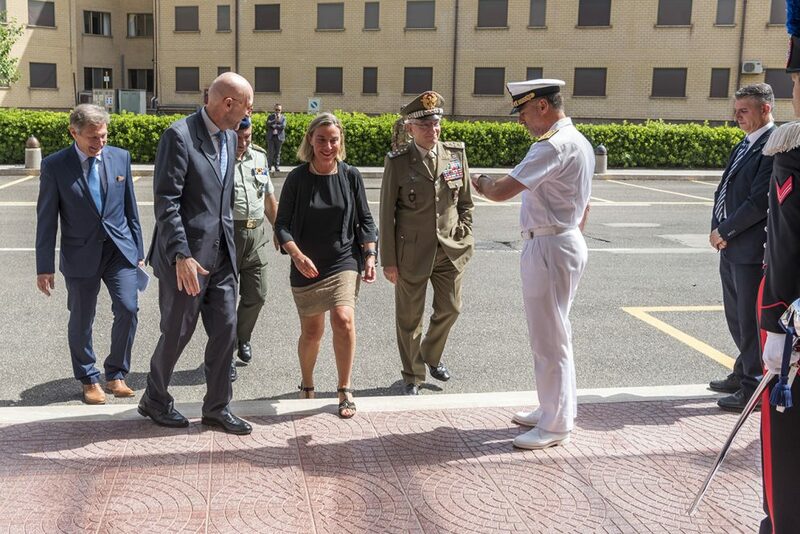 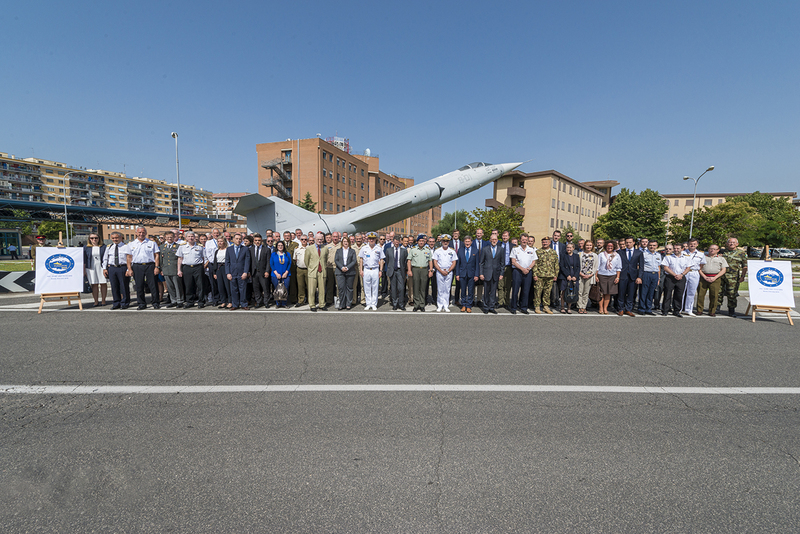 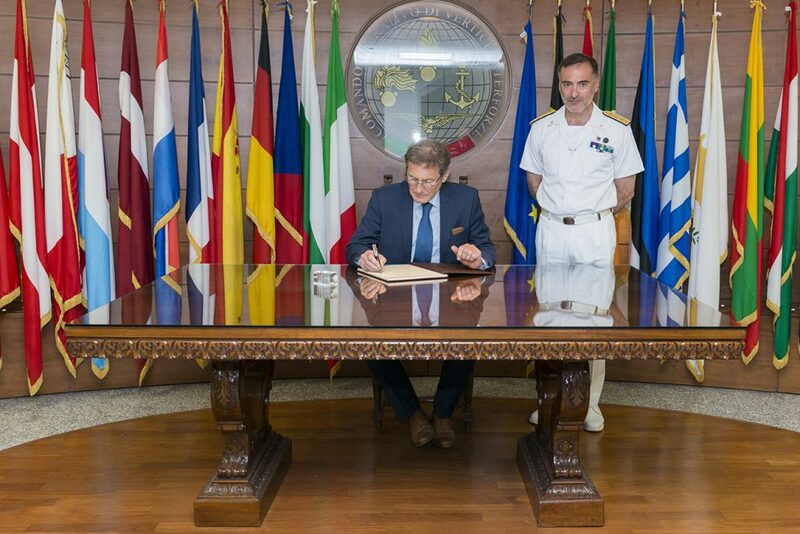 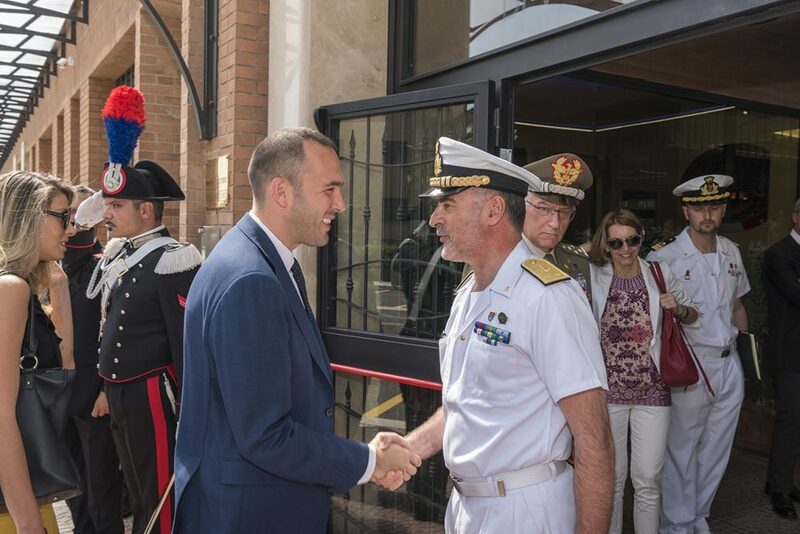 Yesterday, the 2nd of July in Rome, EUNAVFOR Med operation Sophia Headquarters (OHQ) hosted representatives of the Political and Security Committee (PSC), headed by its Chairman Walter Stevens, and the EU Military Committee – General Michail Kostarakos, together with the High Representative of the European Union for Foreign Affairs and Vice-President of the Commission – Ms Federica Mogherini, the Italian Minister of Defence – Ms Elisabetta Trenta, the Italian Undersecretary of State for Foreign Affairs – Mr Manlio Di Stefano and the Italian Chief of Defence, General Claudio Graziano. 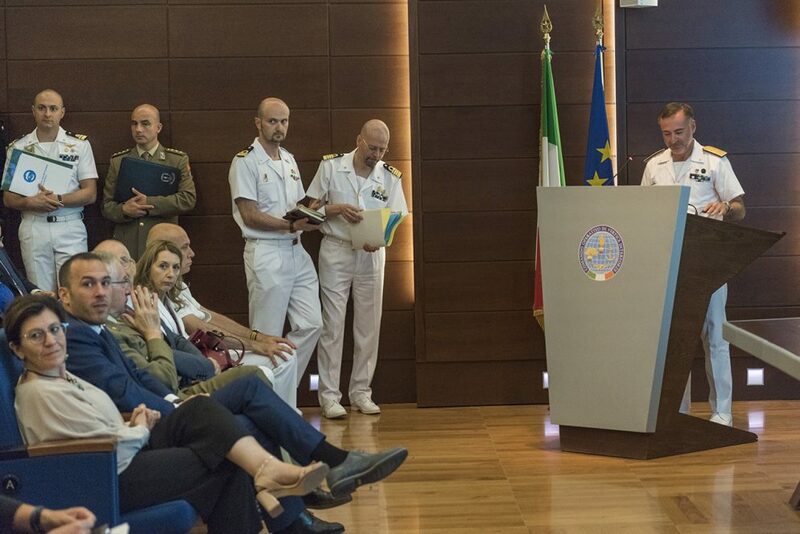 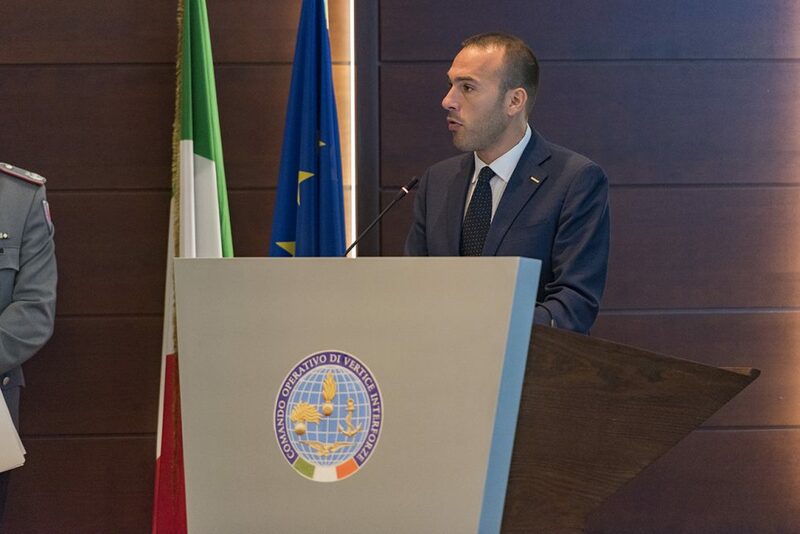 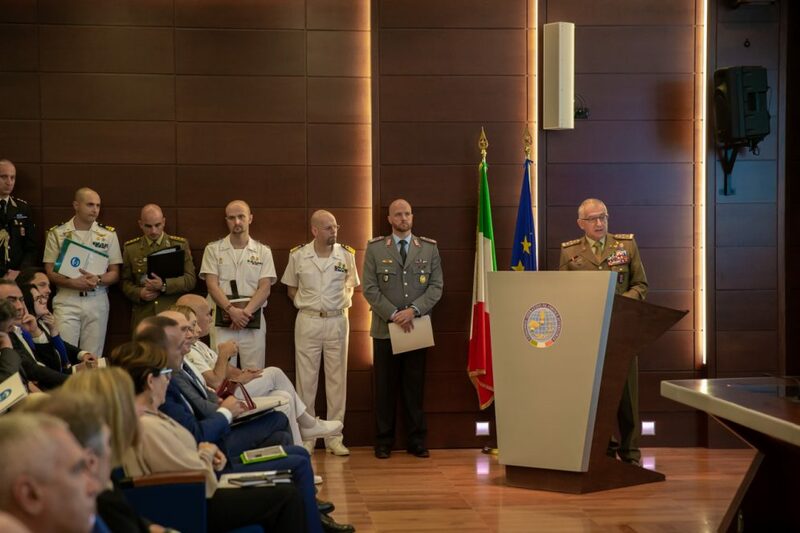 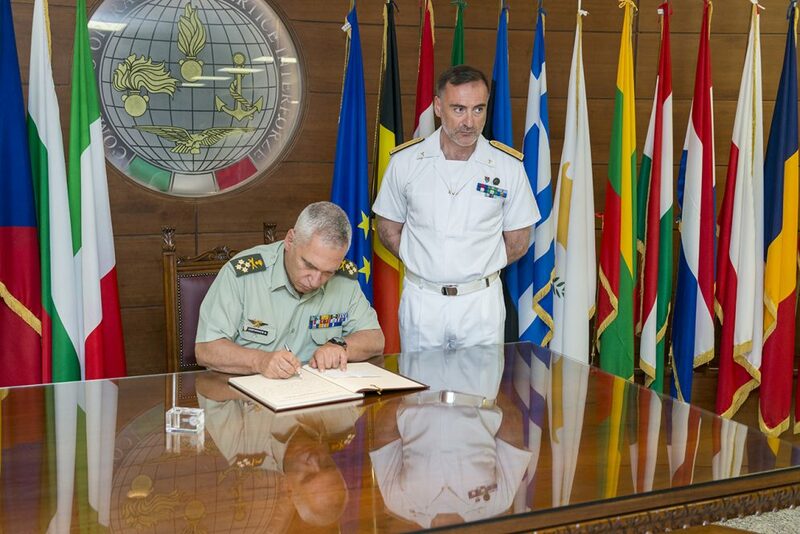 On the occasion of the third anniversary of the launch of operation, Rear Admiral Enrico Credendino provided an update presentation on the operational achievements, the most relevant figures and the future of Sophia, with a particular focus on the additional/supporting task related to the training of the Libyan Navy and Coastguard and the monitoring, as essential components of the mandate. 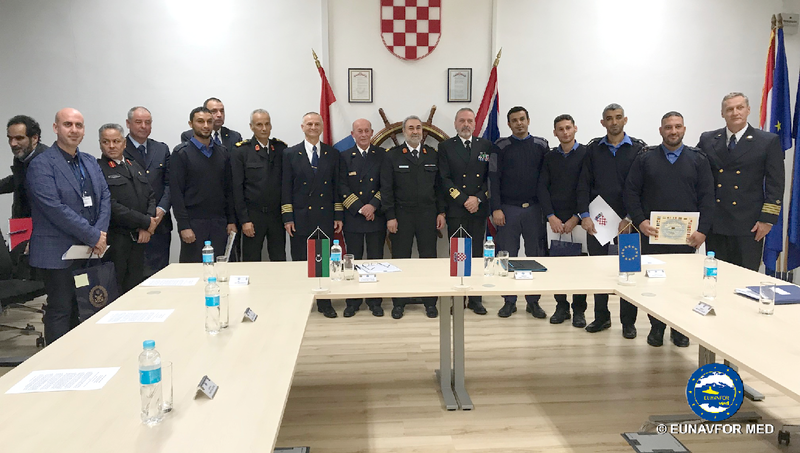 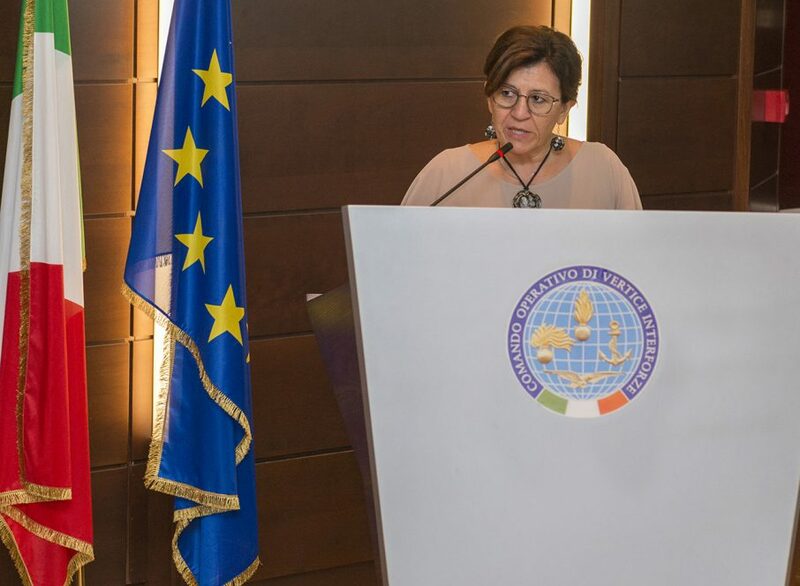 “Born to provide an emergency response, today SOPHIA is working to contribute to a structured response as part of the EU comprehensive approach, confirming the importance of a maritime operation able to respond not only to the migration phenomenon but to face other threats and illicit activities.” Admiral Credendino underlined in conclusion of his presentation.